Nothing compares to the soft, luxurious feeling of 1 inch carpeting under your feet. Also, carpeting provides a safe, comfortable spot for babies and kids to play and may even reduce the risk of injury during a fall. Sure, carpet requires a bit of extra maintenance compared to vinyl, tile, or wood. But there’s simply no substitute in terms of sound absorption, warmth, and overall comfort. Carpet comes in many styles, including plush, Saxony, Berber, textured and frieze. These terms apply to its pile, which is the surface you see, created from yarn tufts that are either folded over into loops, cut straight across or both. While each style has a distinctive look, that shouldn’t be your main consideration. Instead, look at how well your lifestyle meshes with a particular carpet style. Plush carpeting, for example, is made from tightly twisted pile, and is thick, soft and inviting. But it also shows footprints and vacuum tracks, and can develop something called “pooling,” or areas that appear shaded because the normal direction of the carpet fibers has been reversed. Saxony, the most common type of carpeting, is similar to plush. These carpet styles work best in low-traffic areas like formal living rooms and master bedrooms. Berber carpeting, in contrast, is crafted from continuous fiber loops and is flat and dense. It can have a level loop, cut-and-loop or multi-level loop design. All of these attributes mean Berber is extremely durable and doesn’t show tracks, soil and stains its perfect for high-traffic areas, or places frequented by kids and animals or lots of traffic. Even the most luxurious carpet doesn’t have to cost a fortune. Shop around to find carpet that fits your lifestyle and budget. Always request separate pricing for materials and installation so you can make an “apples-to-apples” comparison among different suppliers. Textured carpeting is made from fibers cut to different heights, which causes them to reflect light. This makes it difficult to see tracks and dirt. So this type of carpeting is also great for high-traffic areas. Some Berbers are textured. Friezes are a cut-pile carpet made from slightly twisted fibers. The look is less formal than plush, but fancier than many textured pieces or Berber. The carpet feels soft on your feet, yet its fuzziness hides footprints and dirt well. With so many different colors to pick from materials and designs available, it can be difficult to choose the best carpet for your home or business. Some materials may require frequent cleanings that simply won’t fit into your busy schedule, others come with a high price tag and some may even have an effect on your health. The wrong carpet may wear out quickly, fade or show stains that stubbornly resist your best cleaning efforts. Protect your investment and choose the best carpeting for your home that will come with a good warranty. Call us today to find and set up an appointment with one of our carpet professionals. 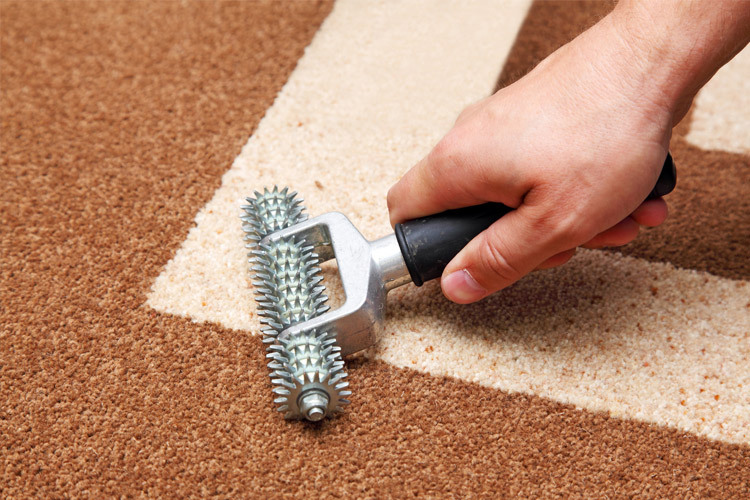 To schedule an estimate from our Chicago carpeting company, please call (773) 209-7499 today! You can choose from hundreds of different colors and styles at affordable prices. One of the best things about carpeting is how durable and long lasting most carpets are. We always tell customers about the pros and cons about carpeting and help them make the best and right decision on what type of carpeting for any type of budget they may have. ElmWood Flooring is a Chicago carpeting company that is committed to quality of service and providing the best selection of carpets for your business and home. ElmWood Flooring carries a wide range of all types of colors and styles of carpeting, thin to thick padding. If for any reason we don’t have what your looking for in stock, we will find it for you! We deal right with the manufactures and cut out the middle man to bring you the best possible prices on all types of quality carpeting. Call today and schedule an appointment when you are ready to have us come out and take a look at your project. Questions? Feel free to ask us for details by email at info@elmwoodflooring.com or call today (773) 209-7499. ElmWood Flooring is a Chicago carpeting company that is committed to quality of service and providing the best selection of carpets for your business and home. ElmWood Flooring carries a wide range of all types of colors and styles of carpeting, thin to thick padding. If for any reason we don’t have what your looking for in stock, we will find it for you!